If you are looking for information on the American Eagle Wine Making Company franchise business opportunity, American Eagle Wine Making franchises or American Eagle Wine Making franchising, then you have come to the right place. American Eagle Wine Making Company is a franchise based wine making company that crafts and retails exceptional wines on site without the cost and uncertainty of a vineyard! Owning an American Eagle Wine Making Company can be an exhilarating and rewarding lifestyle. Imagine crafting your very own wines and sharing that knowledge with your friends and customers. The fun and romance of creating fine wine will bring your customers back time after time. American Eagle Wine Making Company makes and retails exceptional wine on site using the finest international juices from one of the world's largest winery companies. Your customers will enjoy sampling different wines at your tasting bar. Trying before buying gives you the opportunity to get to know what the customer likes and provides you with the ability to up sell. Wine is for sale by the bottle, case or in bulk purchases. Additionally, American Eagle Wine Making Company offers its customers the ability to participate in the wine making process. There are Home Vintners sections in each winery catering to this growing segment of wine enthusiasts. Giftware and wine related merchandise provide additional selling power and promote wine appreciation and knowledge in your clientele. 5 day comprehensive wine making and business training at the American Eagle Wine Making Company Head Office. Upon finishing the course, you are a Certified American Eagle Wine Maker. As an American Eagle Wine Making Company franchisee, you receive our exclusive wine management and POS software. Currently, no other wine making franchise offers this comprehensive software that tracks and manages the wine in process as well as provides a point of sale and customer management. Full training and technical support are provided. Our Sales Team will provide you with all the information you will need to know to determine if an American Eagle Wine Making Company is right for you. 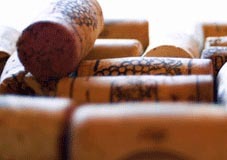 Our Training Team will ensure you have the wine making and marketing knowledge necessary for a successful business. Our Franchise Liaison Team is there for you after you open your winery to help you grow your business and answer any questions you may have. Our Wine Management Software Team provides technical assistance for our exclusive software. Our Order Desk Team saves you time and money by streamlining all product orders with our exceptional suppliers. Our Administration Team assists you with day to day administrative functions such as advertising approvals, submitting monthly sales reports, contact information for all franchisees, newsletters from Head Office, etc. Our Website Development Team manages and maintains all websites seamlessly and gives you the power to control your own content. 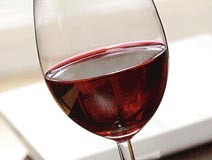 E-commerce/online wine sales coming soon (subject to your state shipping laws). Why American Eagle Wine Making Company? American Eagle Wine Making Company offers the most value in the U.S. wine making franchise industry. The lowest franchise fee in the industry. One of the lowest royalties in the industry. Complete and unsurpassed training program at our Head Office facility. Experienced assistance with site selection and start up. An in house accredited interior designer for store layouts and décor.